you get the idea. There’s plenty of overlap, but that, too, is one of the good things about these lists. The overlap is instructive, whether it shows popularity or reader interest or just plain great writing. That’s what to look for, if you’re a writer. The great writing. Have at ’em. Reading a Facebook post by Jane Friedman, she reminded readers that important works will come into the public domain on Jan. 1, 2019. Of course, there are also movies, music, and works of art coming as well. Of particular importance, as The Atlantic pointed out, is the fact that a whole year’s worth of copyrighted works are affected. 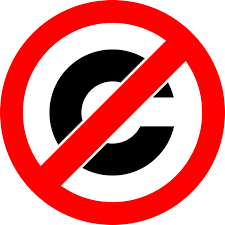 In 1998, the Sonny Bono Copyright Act extended the term of copyright, meaning that we spent about twenty additional years “waiting” for key works to be available publicly, without copyright control. Works first published in 1923 will be opened for us to create new works or simply read them without the addition of a copyright fee. Lifehacker (https://lifehacker.com/these-1923-copyrighted-works-enter-the-public-domain-in-1825241296), also noting this seismic event, has provided a long list of works (scroll down for their list of chosen books). The one that haunts me is the short story, Mrs. Dalloway in Bond Street. This, plus an unfinished short story called “The Prime Minister,” were the basis of her novel, Mrs. Dalloway, published in 1925 (meaning we need to wait two more years to get our public domain hands on it). I love this work for its interiority. The reason I like books with interiority is, for me, full interiority is unique to books. Setting, character, and plot can be found in books, movies, and TV, but interiority is elusive. What’s going on inside a character’s head can be interpreted and partly conveyed by actors, but full interiority, conveyed by the author directly to a reader, can only be fully available in books. Mrs. Dalloway isn’t the only “interior” book in the world, but it’s the one that gave me an “aha” moment when I began writing myself. As the Lifehacker article points out, not quite everything published in 1923 will come into the public domain, only works with an authorized publication in 1923, so you have to check, but we are finally beginning to see a true expansion of the public domain and that’s the ultimate gift for the new year. I suggest that you find a book on the list and indulge yourself in the new year by reading it, knowing that it will be there for you, your children, and your children’s children. Maybe one of the books on that list will prompt an “aha” moment, as I experienced. That’s what the gift of reading and the public domain has to offer us. Recently, I became a Granny for the first time and apart from thinking he’s the cutest grandson in the world (doesn’t every granny think that? ), I’ve also wondered about how the beginning of any life affects the many people around that life and how that life is recorded and shared. The obvious answers include parents who get insufficient sleep, grandparents and uncles and aunts and friends and a host of others who are thrilled, and a baby who is “recorded” from birth mostly in photos and videos. But where do reading and writing come in? David Strathairn, the actor, once said that “television and film are our libraries now, our history books,” but more of us than ever are writing—memoirs, fiction, poetry, and “morphed” forms of digital texts and blended media. Our children and grandchildren will be recorded—eventually—in those forms, but the beginning is photo, photo, photo. I admit my bias in this matter: I’ve worked in libraries all my life, watching us de-accession physical books, while acquiring more and more electronic books, journals, and other formats. What writing will this child see? What will he read? More to the point, will he read? Knowing his parents, I can safely say “of course,” but I suspect what he’ll read will be very different from the reading I enjoyed growing up—more fact, less fiction, and certainly less poetry (I read a lot of that). The thought of this saddens me. I believe in fiction and poetry, and I worry that there’s too little in our children’s lives. My grandson has been born into a family that is highly skilled in the computer industry, which makes me confident that, if he is as skilled in math and science as his parents, he’ll have as secure a future as it’s possible for one human being to have. I just want him to have other forms of imaginative life. As long as I’m on the planet, I’m going to try to make sure he has stories and fiction and poetry to read.